Candice Millard is a gifted writer, with the ability to engross the reader as she unfolds the story. 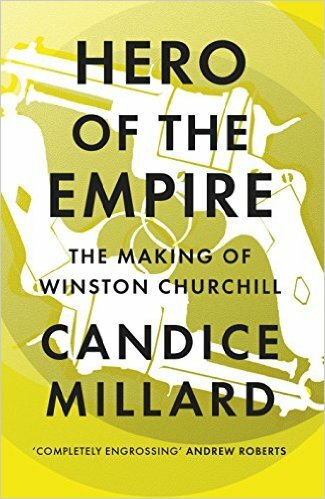 Hero of the Empire brings to life a chapter in the life of Churchill, which was completely unknown to me, and gives an insight into what motivated Churchill in his younger years and eventually lead to even greater accomplishments on the world stage. Churchill knew that the surest and quickest route to recognition, success, and perhaps, if he was lucky, fame was a military medal. It was “the swift road to promotion and advancement in every arm,” he wrote, “the glittering gateway to distinction.” Distinction, in turn, could be parlayed into political clout, opening a door onto the kind of public life that he longed for, and which he believed was his destiny. So while the military was not, for Churchill, and end in itself, it was certainly a very useful means to an end. What he needed was a battle, a serious battle, one that would be talked about, would be remembered, and, with a good dose of courage and a little showmanship on his part, might propel him to the forefront of the military stage. For that, he was willing to risk anything, even his life.